Using the scheduling data we already have, Cooperation can predict whether granting a PTO request will leave you short staffed. 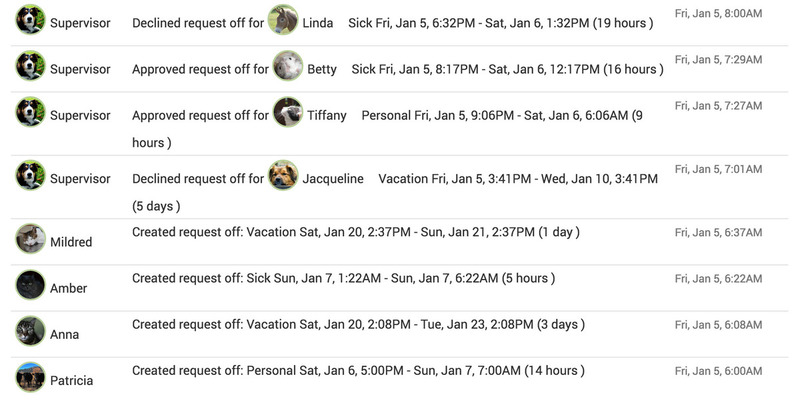 You can view all open PTO requests, mix and match them, and easily determine what combination of accepted requests will still cover your staffing needs. That means scheduling managers save time, and employees get their decisions faster. 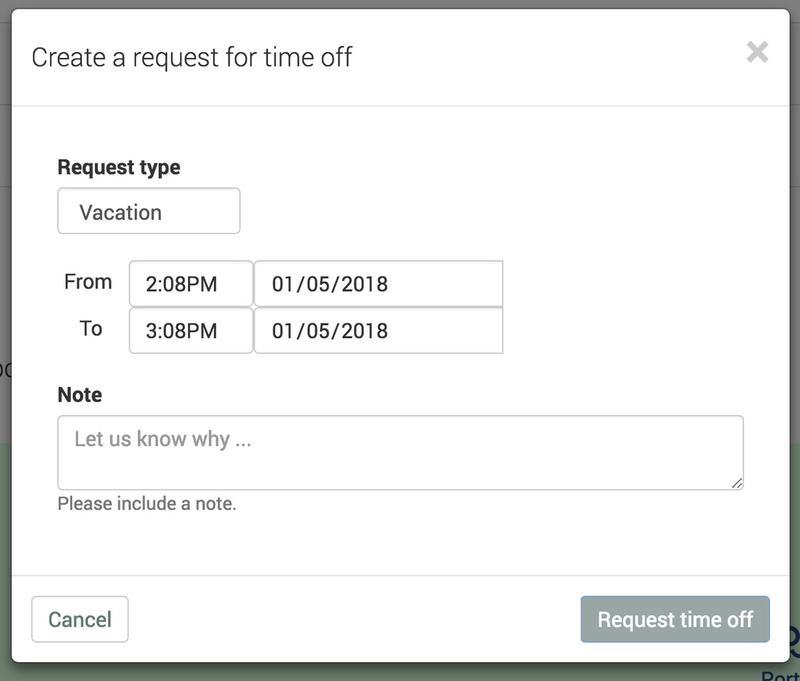 Employees can request time off directly through the Cooperation dashboard. They choose the type and start & end time. A notes section lets them specify why they’d like to be off. Once a request is created, we notify the on-call scheduler. They can review it and decide, or decide to wait. In the case of sick days and emergencies, when an employee doesn’t have time to submit a request, admin can retroactively create and grant one. With everything online, multiple people can work on requests from multiple locations. Plus, everything is fully integrated with the time clock and payroll export functions. That way, time off is always properly logged and classified. 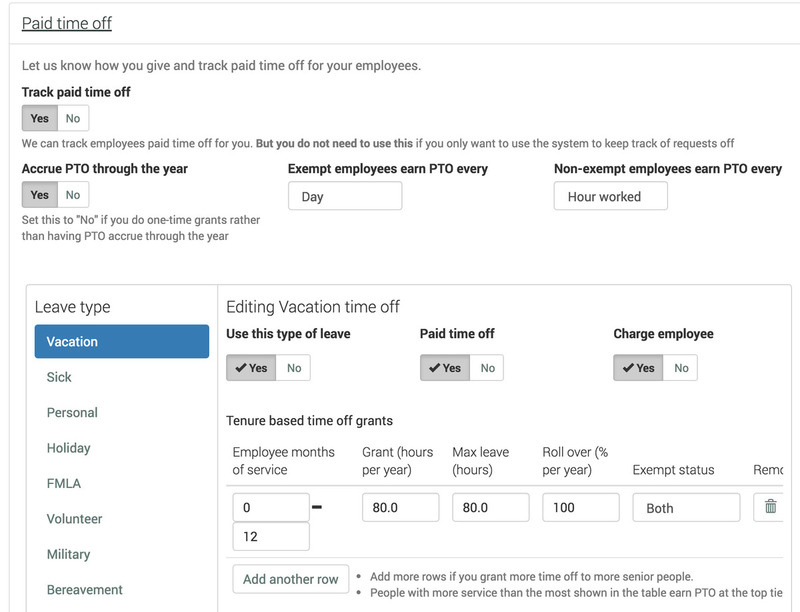 Customize how employees accrue each type of leave based on their seniority and exempt status. Grant an employees extra PTO for a job well done or give some to everyone for a year-end bonus. PTO can be used against a balance or predicted earnings for the year. Or you can ignore any hard limits. Cooperation makes it easy and clear to see all the details of a PTO request. You'll know who submitted their request and whether they've made any changes since then. 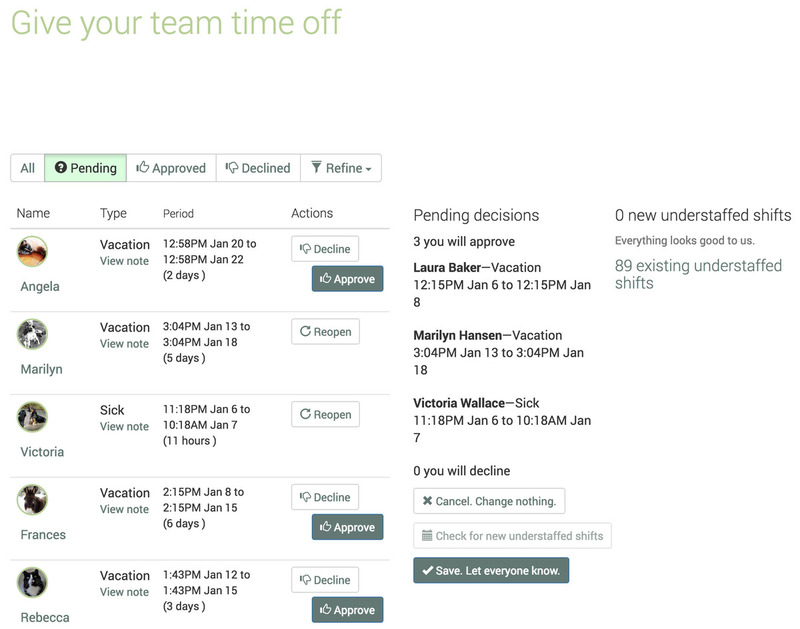 If you make PTO decisions as a team, each admin member can see what others have done regarding any given request. Employees can also see when their request comes under consideration and Cooperation notifies them as soon as a decision comes through.